Builders Delight. A tear down duplex in the middle of a 100 X 100 lot in Ship Bottom. Easy access on & off the island, only 2-1/2 blocks to those large, beautiful beaches. Being sold in ''As is'' condition. Buyer responsible for any and all permits required to transfer ownership. May be possible to sub divide into two 50 x 100 lots with a variance. 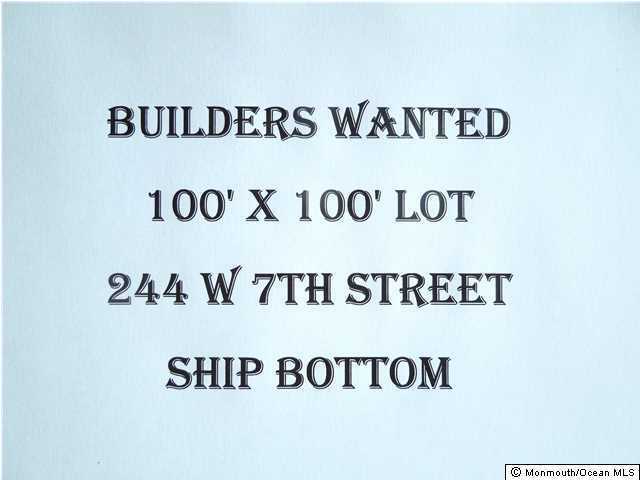 Buyer would be responsible for any sub division work. There is no access to house. Damaged by Sandy.